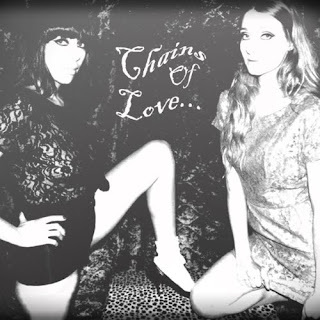 Vancouver based Chains of Love have been garnering some interest this year as a band to take notice of. If you like 60's retro styled girl pop with fuzz guitars and Phil Spector gone garage soul then this might be for you. Lead by the strong vocals of Nathalia Pizarro and Rebecca Marie Law Gray, gives the songs great energy and a cool dynamic. Releasing 4 tracks called "Singles" way back in January of this year, which has gradually worked it's way through the indie circles picking up fans along the way. Guitarist Felix Fung is the owner and engineer of Vancouver studio Little Red Sound, so getting spare time in a professional recording space is obviously highly advantageous to a band still developing their talents. With retro late 60's /indie pop in flavor recently thanks to bands like Cults , Best Coast, Girls, Surfer Blood, Dum Dum Girls, and so on it would seem like the band looking to come into it's own at the right time. They are due to release a 7" single on Dec 15th for "In Between" b/w "Breaking My Heart" available on Manimal Vinyl.